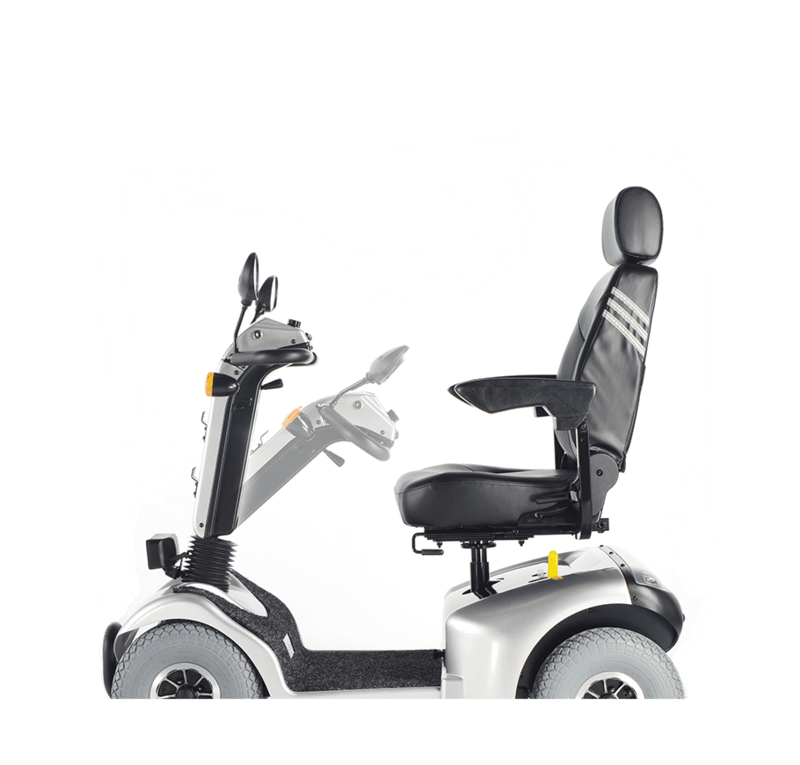 The KS-731 is a powerful deluxe, three-wheeled scooter that features full suspension, infinite tiller adjustment, height adjustable flip-up armrests, rear mudguards, water-resistant LED push-buttons and more. 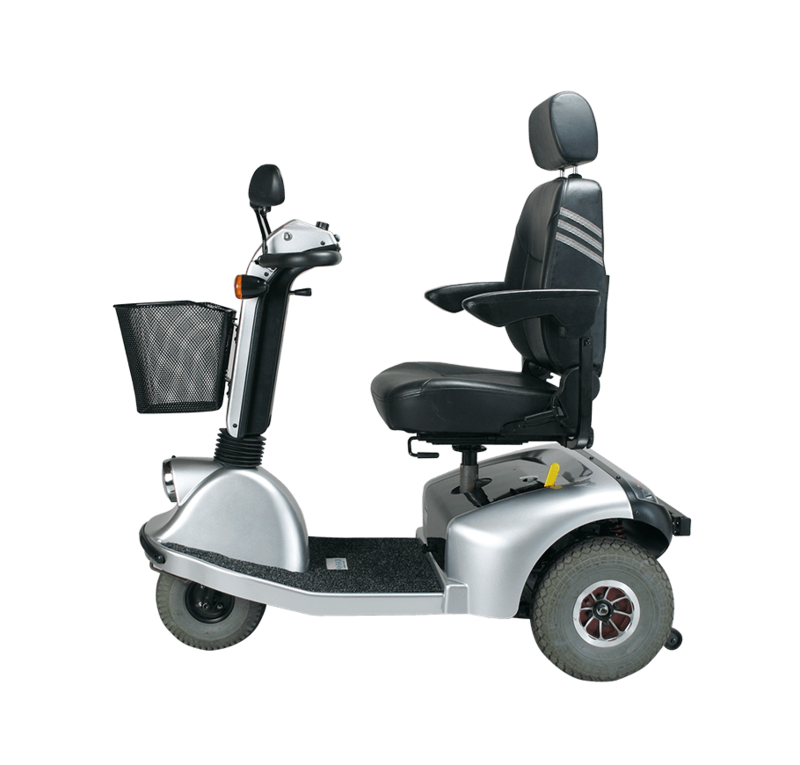 The “Three-Wheel Hydraulic Shock Absorber System” was developed so each wheel can absorb shock independently, effectively providing complete shock absorption. 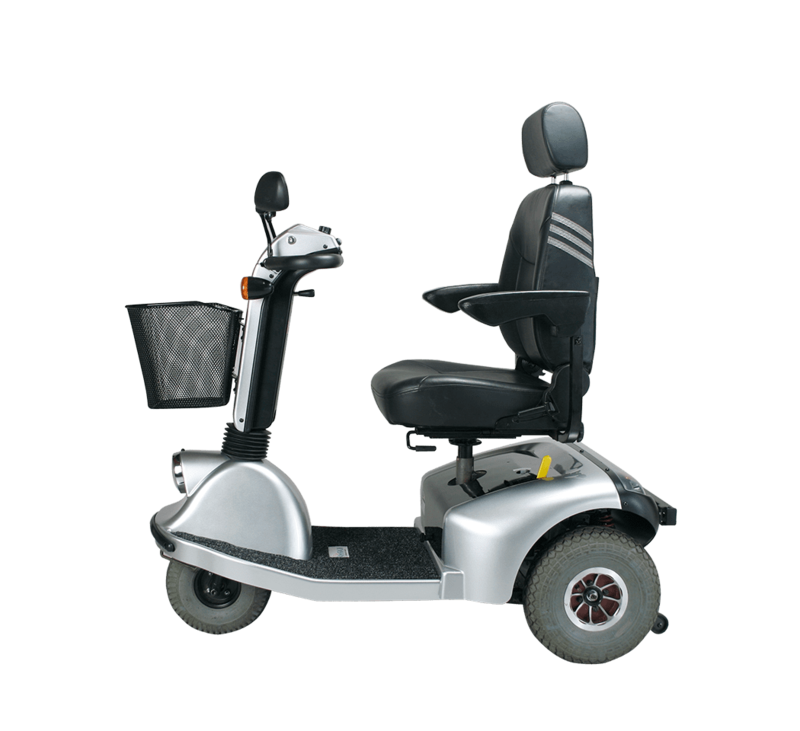 It is perfect for long distance travel, uphill driving, and high-speed travel over smooth surfaces. 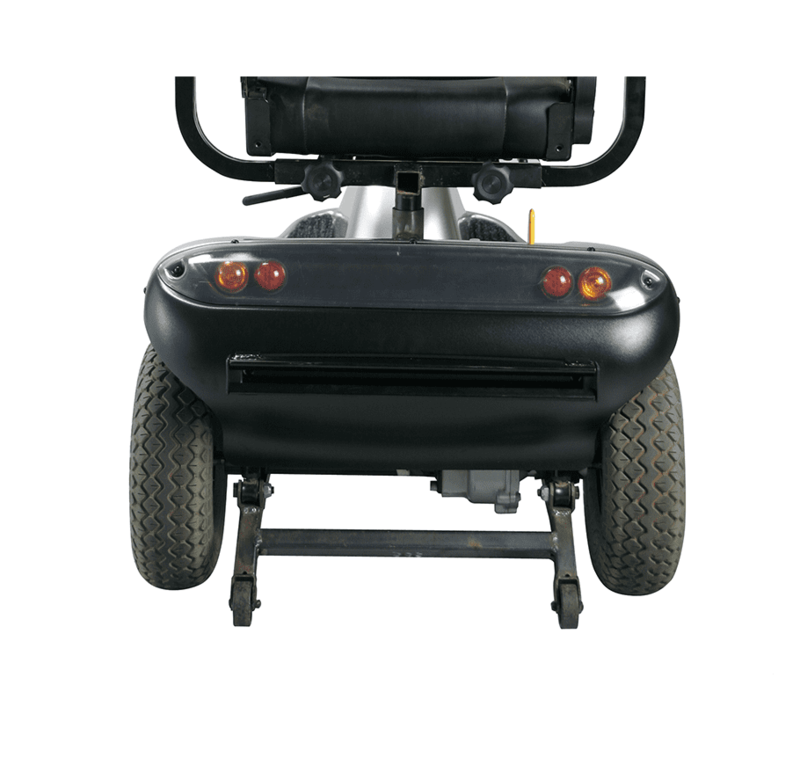 Three-Wheel Hydraulic Shock Absorber System effectively absorbs shocks and vibrations. 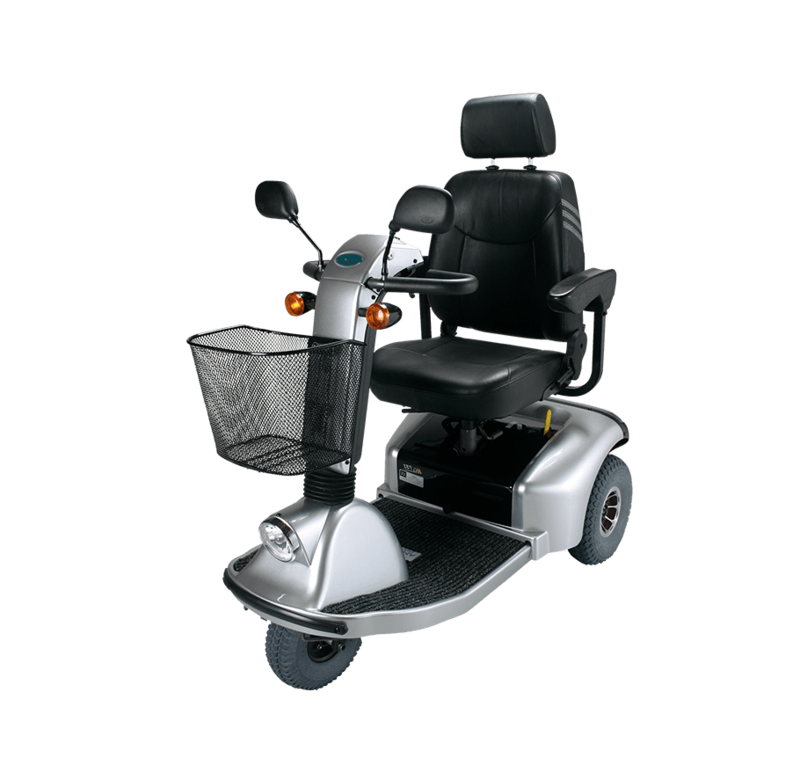 Delivers a substantially smoother and comfort ride. 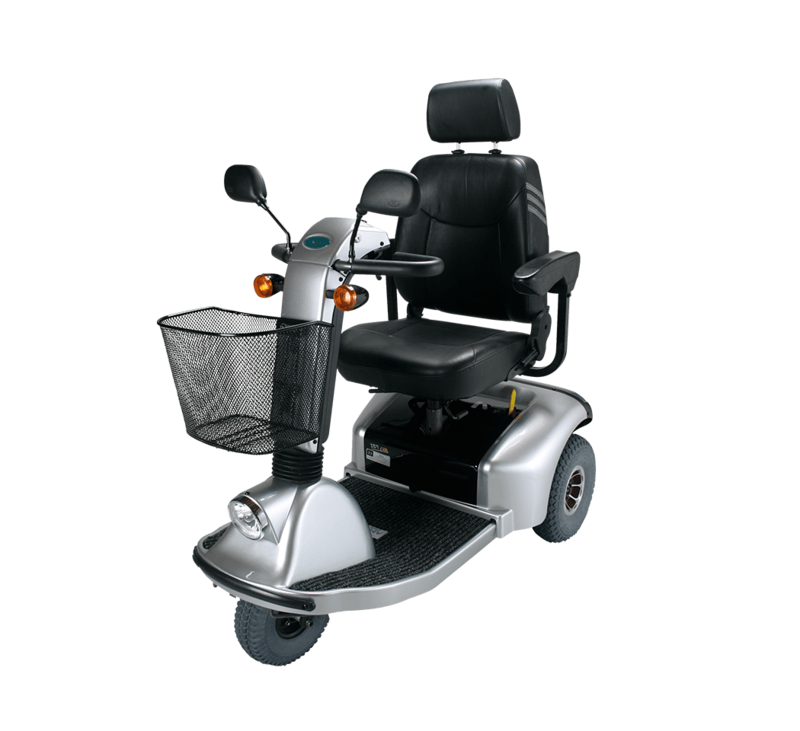 Handles tight spaces and makes steering easy. 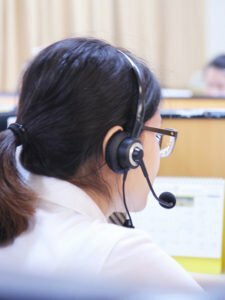 Protect the user from mud and water splash and help keep the user dry. 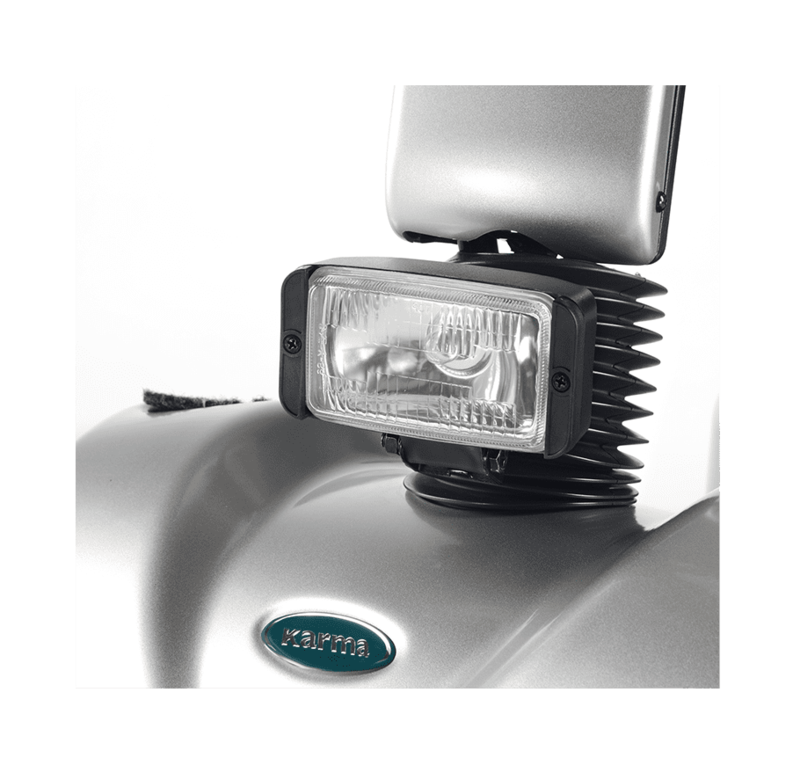 The scooter’s control panel is equipped with water-resistant LED illuminated push-buttons for better visibility and night-time use. 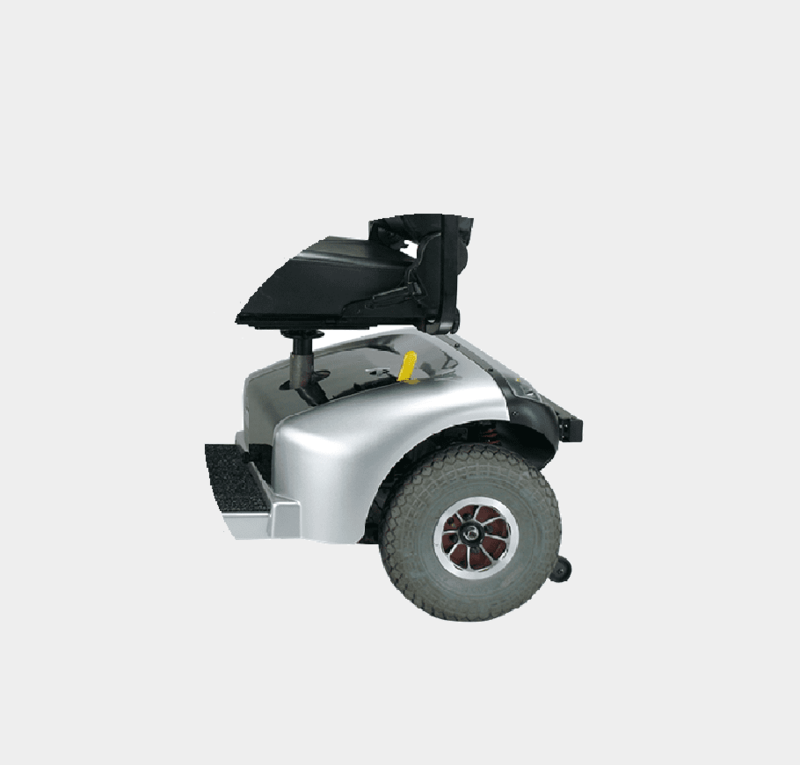 12” large front and rear wheels, coupled with wider track, significantly enhance overall riding stability. 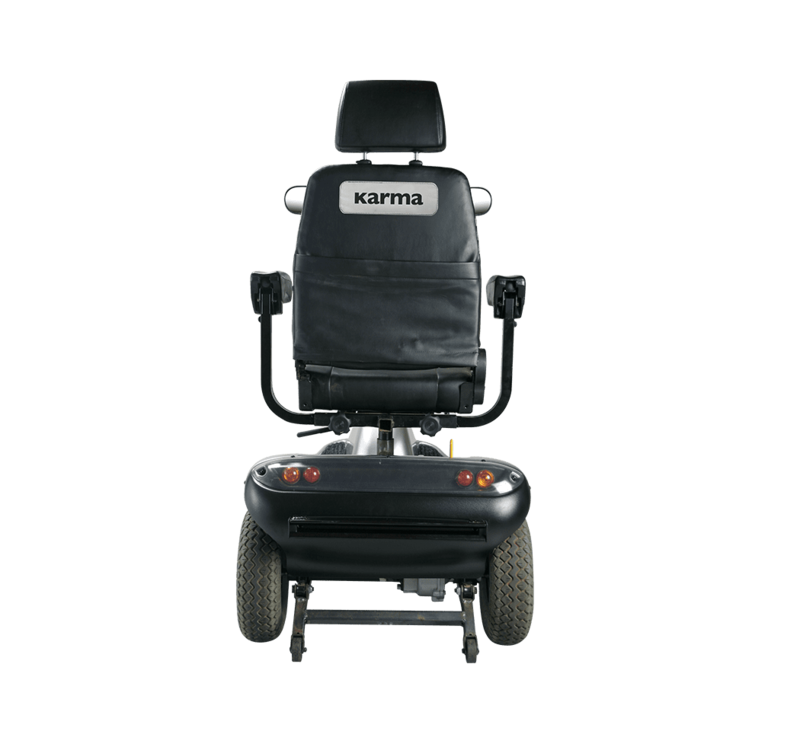 You can adjust the height of the seat, up or down, and the position of the seat, forward or back. 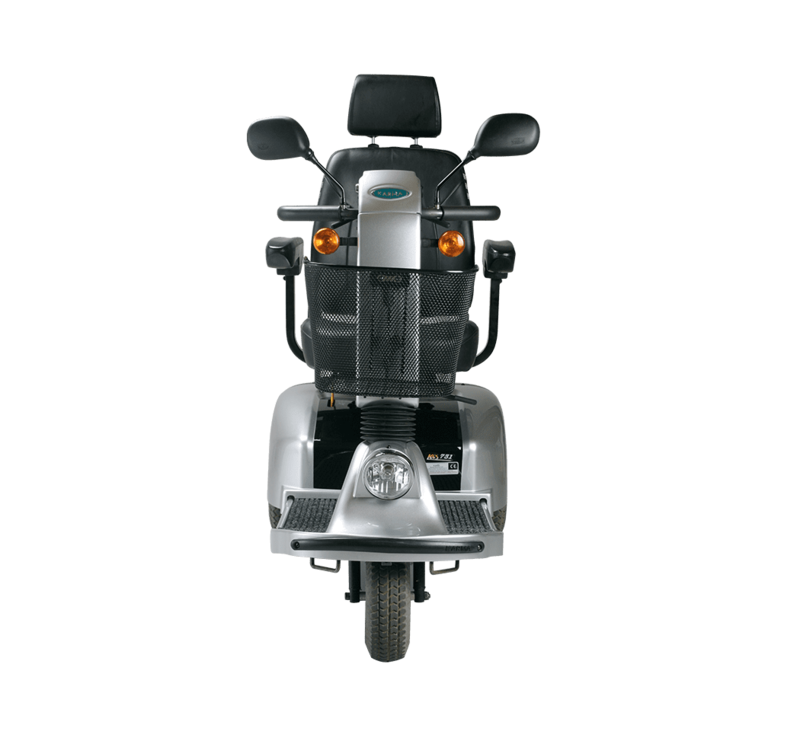 The seat’s 90 degree swivel rotation makes it easy to get on and off the scooter. 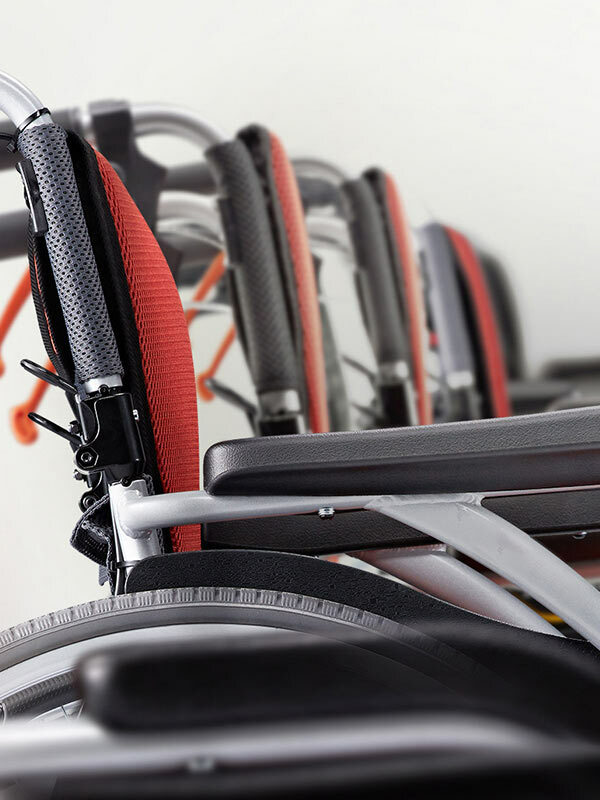 The headrest is also height adjustable to suit the individual’s needs. 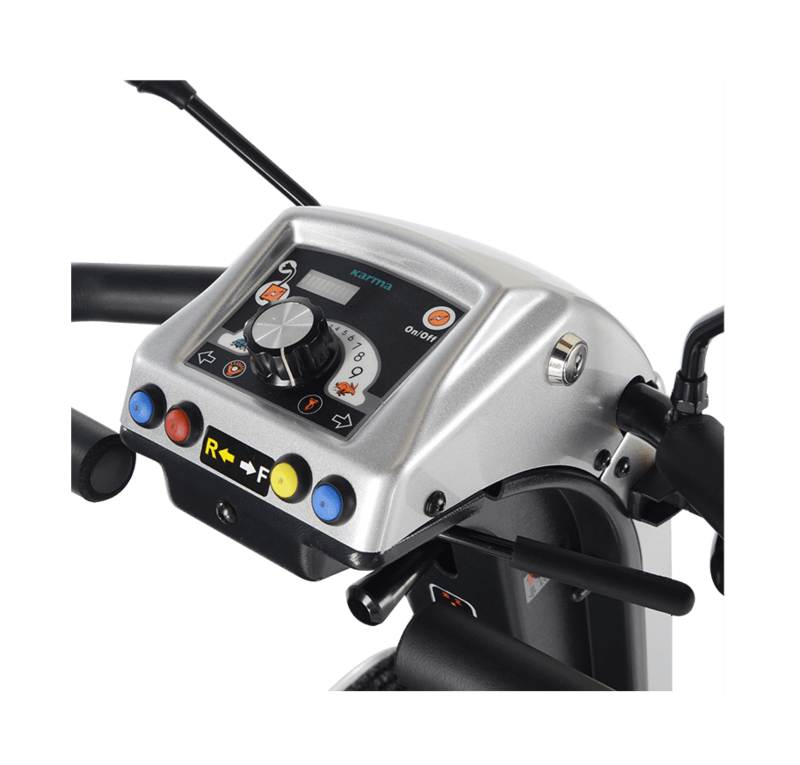 Infinite steering column adjustment allows the users to position the handle bar according to their needs for better control and easier operation.